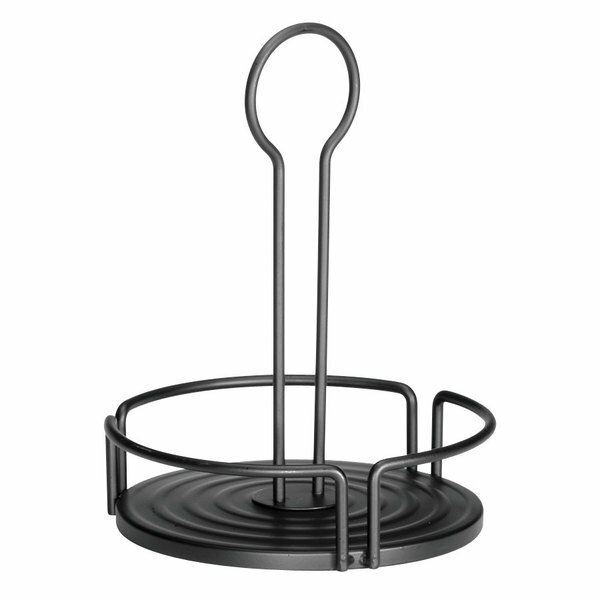 Choice Black Flat Coil Round Wrought Iron Condiment Caddy with Card Holder - 6" x 9 1/2"
Choice Black Flat Coil Round Wrought Iron Condiment Caddy with Card Holder - 8" x 9 1/2"
Bring a touch of modern day style to your tabletop with the Tablecraft BKDIA595 6" black condiment caddy from the Versa Rack collection. This condiment caddy clearly displays syrups, sauces, and condiments in a neat and organized manner making it perfect for diners, bars, cafes, and any restaurant. Thanks to the compact design, this caddy will fit perfectly at the edge or in the corner of a table, allowing more room for your customers' meals and helping to eliminate tabletop clutter. Your customers will appreciate having their condiments at their fingertips! The convenient loop at the top of this rack makes it easy for servers and hosts to grab and go during your busiest service times. Its black powder coating adds an attractive appearance for your diner or restaurant while also ensuring a durable product that is built to withstand everyday wear and tear. 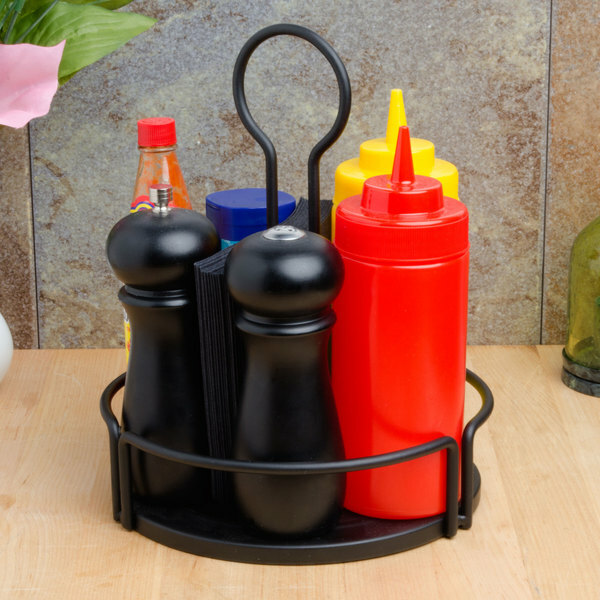 Stay organized and keep tabletops looking professional with the addition of this stylish but extremely versatile condiment holder.